The new year breeds all kinds of expectations, goals, new habits, and new beginnings. This also holds true to the world of music, as new artists are all hoping to make 2019 their year. That being said, it’s challenging and exciting to recognize who may make a splash in 2019. 1. Zack Villere — From Covington, Louisiana, Zack Villere brings forward a unique style of music that takes a few listens to really sink in. His song “Cool,” released in 2017, first put him on the radar of many fans, and its music video amassed over 2.5 million views. For those looking to get to know the artist himself, the “Cool” music video is the best place to begin, as it exemplifies Villere’s carefree and genuine music. Villere has been involved in the same low-fi bedroom pop scene for the past few years with artists such as Cuco x Clairo, but he manages to stand out from the pack. His recent single “Super” shows his artistry, combining experimental beats with train-of-thought lyricism sure to put a smile on listeners’ faces. It is expected that Villere will put out a full-length album in 2019. This could be a promising year for Villere as his extremely personable nature and catchy melodies lead the way. 2. 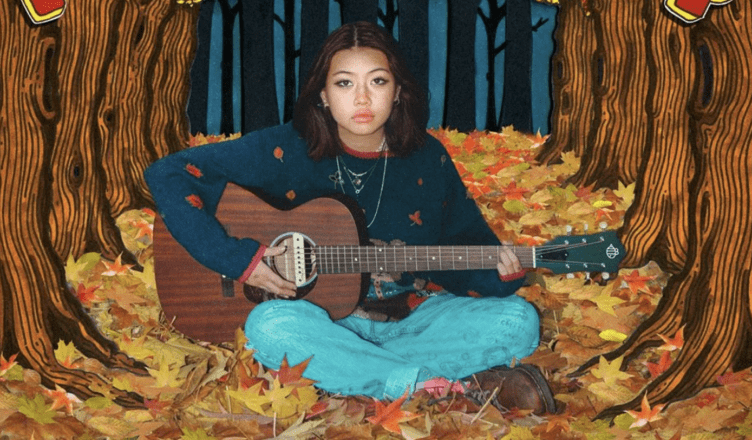 Beabadoobee — Hailing from London and only 18 years old, the guitar playing, soft-voiced lo-fi singer is bound to take the world by storm in 2019. Her recent EP titled “Patched Up” delivers track after track of beautiful chords and sweet vocals that will make any listener a fan. Her music is similar to that of Clairo and others emerging from the lo-fi bedroom pop space, only with softer production and an overall vintage feel. Her recent video for her song “Dance With Me” sits at about 150,000 plays on YouTube. The grainy footage tells a heartfelt story of being carefree with a loved one. Bea’s vocals complement the ever so soft guitar chords and will most definitely gain traction in the new year. The songwriting screams youthful emotion, and it is nice to hear such innocence. Whether it is talking about a classroom crush or coffee, Bea’s music will surely capture a greater audience. 3. Thutmose — Thutmose is an upcoming rapper born in Nigeria; however, his childhood roots and story are based in the Brooklyn area. He dropped a project in 2018 titled “Man on Fire,” and it features several stand-out tracks that showcase his potential to take the hip-hop world by storm. The album includes several major name features, such as Jay Critch on the track “Rounds” and Desiigner on the track “OkOk.” Thutmose places himself above the crowd of emerging rappers with his ability to supersede genres, not to mention his most important ability to go from traditional rapping to more melody-based tunes, many which are reminiscent of the rhythm and blues artist 6lack. Thutmose’s song “Ride With Me” best represents this, as he composes a track entirely based on a style emphasizing his vocals rather than his rapping, which is important in the evolving hip-hop industry. With the direction hip-hop is moving, led by artists such as Juice WRLD, Trippie Redd, and others who may be regarded as singing-rappers, it seems like this trend is here to stay. Thutmose’s versatility and solid performance on his recent album make him a likely candidate to take over the genre in 2019. 4. Surfaces — Surfaces is an emerging Texas-based band best known for making feel-good music that listeners can’t help but sing along to. The group is categorized as R&B and commonly makes use of various piano melodies and heavy amounts of brass instruments. What places Surfaces on a higher level is the carefree nature of each song and the vocal performance of its frontman, Forrest Frank. The group recently released a 2019 album titled “Where the Light Is,” and it is a must-listen album from top to bottom. Each song promotes the feel-good vibes of a sunset drive down the coast. There is definitely a place for Surfaces in the modern-day releases of popular music. The group is best described as refreshing due to its style and consistency on each track. On tracks such as “Shine on Top” and “This View,” the group solely looks to present a positive outlook on each day. All the positive messages are written over plucky, beautiful chords, and warm drums. The hooks are catchy, and the harmonies are soothing to the ear. The year 2019 could be a big one for the group as it continues to spread positive energy to the music world. Beyond Surfaces alone, the music world is in for various surprises from artists all over. This short list only includes a few of those who may take over 2019, and now all that is left to do is enjoy the music that is to come! All of these artists can be found on any major streaming platform, and their eye-capturing visuals can be seen on YouTube. This year is most definitely a promising one for many artists, and it will be exciting to see just what new music is introduced.